Facepalm: John McAfee, the eccentric antivirus creator, has announced that he will run his official 2020 presidential campaign from a boat. He is currently on the run from US authorities over years of tax evasion. The 73-year-old McAfee said he has thousands of volunteers working for his campaign already. He calls them "road warriors who, once a month are going to appear in parks, street corners, restaurants all around America while I speak through loudspeakers." McAfee's campaign manager, Rob Loggia, described the strategy as similar to strapping an iPad on someone's head like a telepresence robot. McAfee has previously stated that he has not paid taxes in 8 years and that the IRS has convened a grand jury to charge him with unspecified crimes. He has also had a host of other legal troubles including unlicensed drug manufacturing and weapons possession. Most notably, he is a person of interest in the murder of Gregory Faull. In terms of his policies and platform, some areas are clear and others aren't. The main theme of his campaign is freedom from government where he envisions a world in which citizens are free from its control. 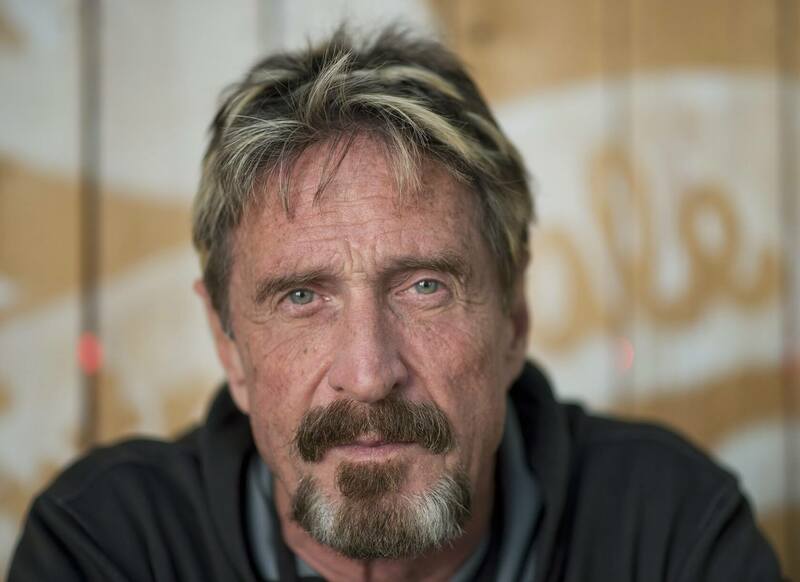 McAfee has long advocated for the rise of cryptocurrencies over our modern banking system. He believes that because of this, governments will not be able to collect income tax in the future. He stated to Fox News that he has "no idea" about immigration, foreign relations, or education. Instead, he is focusing solely on freedom of the people. McAfee views our current two-party system as an illusion fluctuating between the extremes on both ends. He has regularly taunted the US authorities while on the run so it will be very interesting to see where this whole story goes in the future.